Hope everyone had a good week! 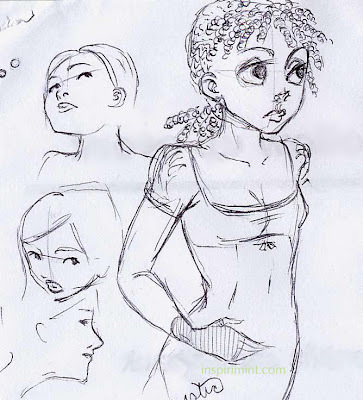 Here are three doodles I did during a very boring meeting this week. It's always a fun challenge to sketch with only what you have. I used a company pen on the back of printed meeting notes to sketch these, but the biggest obstacle was drawing on my lap. Sometimes when my mind wanders, I like to doodle poses. Most of the time they are simple and feminine, but sometimes I will try to work on things like perspective. 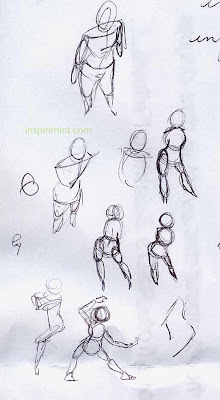 The types of poses that transfer best from imagination to paper for me are things that I am familiar with. I have quite a few years of martial arts experience, and will often default to poses from kata, or forms. Does anyone else do this? This week, I re-watched the second volume of the Kill Bill series. I really like Elle Driver's character design and did a sketch from her encounter with Budd. I feel like I should have explored more stylistic possibilities than I did with this sketch, but didn't realize it until I finished inking the picture. Don't you hate it when that happens? I guess there's always room to explore. I didn't know you knew Martial arts! Which one(s), may I ask? ~6 yrs karate (shotokan), 3 semesters taekwondo, plus a little bit of taichi and yongmudo. Do you also do martial arts? 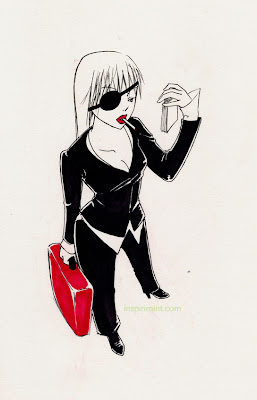 Hi, I stumbled upon this searching for kill bill inspired sketches for a tattoo I wanna get soon. Would you be interested in drawing some of the other girls up for a tattoo? Hi Jay! Unfortunately, I currently do not have the time to work on commissions. 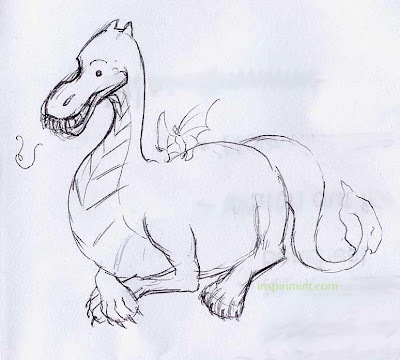 If you haven't already, browse deviantart.com for some cool artists. Many of them will advertise that they are open for commissions. Good luck with your design search!